Do you have a local where you take orders, counting money or record sales? Head over to this section where you'll find a wide assortment of products. 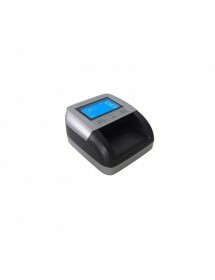 Here you can find Olivetti cash registers and other prestigious brands. 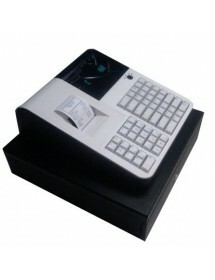 Depending on the model you choose, the cash register let you take control lock to restrict the use of certain functions; a flat keyboard or buttons, with varying functions; employee number; sales departments; payment in foreign currency; information in the viewfinder; calculator mode; programming departments, employees; exchange rate; and various reports and financial, hoarded, articles, or training employees. For something more sophisticated and adapted to modern times you may be interested to a terminal point of sale (POS), which simplifies the entire selling process and the accounting to be accompanied by an application. In this section you will find both POS, as accessories for the same or Orderman known both walk revolutionizing the market to be a type of portable POS to be worn by the waiter. In case you need a count of money (coins or bills) with which you work or detector tickets, stop by our section monetics. To facilitate your purchase, you also have label printers. In our section we provide three brands Godex, Bixolon and Zebra, all help you in your labeling process to place the price and barcode to your product. Do you need to properly record your sales and close the cash? 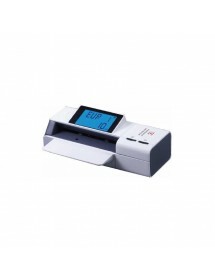 Here you can find several models and types of cash registers. For example, Olivetti registrants are well known, synonymous with many of quality, design, technology and performance superior to other alternatives in the market. Its ergonomic design tends to please everyone, and does not usually go against the space we find inside, with a spacious drawer that allows ample storage. But apart from the Olivetti registrars, you can also find other alternatives that you should consider, since they are also going to be a great acquisition. When deciding between one or the other, you must take into account aspects such as the type of keyboard, functions included or the type of printer. 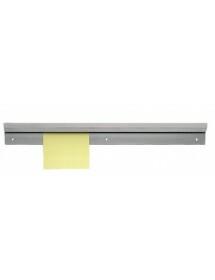 We also show you some tactile register model, the closest to a point of sale terminal (POS) that you can find. Among the brands that you can find in these sections are the Sampos, Eutron and another great alternative of the Sam4s market. 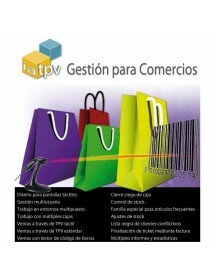 The ultimate solution for the collection and recording of selling products and services in shops and bars, nightclubs, restaurants, pizzerias, service companies domiclio .... From Global Chef are some of the most comprehensive for this type pracks Terminals of tasks called Point of Sale (POS) software that can cover all tasks performed by the cash register, and add a larger repertoire of features. 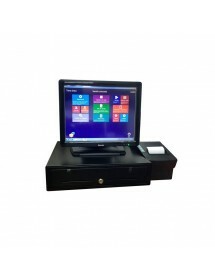 These packs are typeset touchscreen, receipt printer and cash drawer and coins computer. 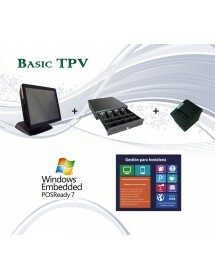 Most complete wireless comanderos Packs add commands to take the customer from the service table. Dare to make the leap to the POS and enjoy a host of features for your business, from simple record sales, control the money they owe their customers, manage invoices, vouchers and even lead to create a system of stocks and suppliers among many other functions.